What Is the True Cost of Living in Chicago? 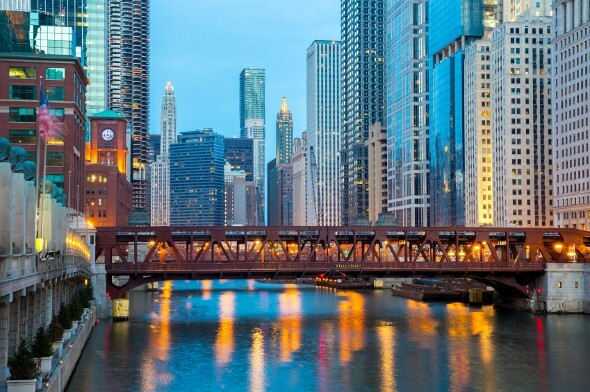 Chicago may rival New York in terms of architectural splendor but the Windy City falls behind when it comes to rent prices. And that’s a good thing for the cost of living in Chicago. According to myapartmentmap.com, the average rent for a Chicago apartment stands at $1,078 for a studio and $1,341 for a one-bedroom place. 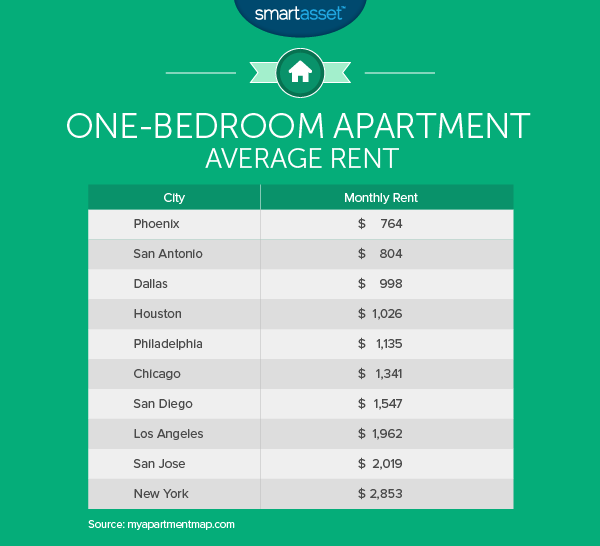 Upgrade to a two-bedroom and you can expect to pay around $1,744. A three-bedroom will run you $2,158. These aren’t exactly bargains, but they’re well below the prices in New York. Take a look at how Chicago rental prices compare to the rest of America’s 10 largest cities. Tired of renting? Ready to commit to a mortgage? Here’s what you should know about the cost of buying a home in Chicago. Chicago wasn’t immune to the fall in real estate prices that resulted from the financial crisis. Since then, however, prices have rebounded and are approaching pre-crash levels. According to trulia.com, the average price for a one-bedroom home in Chicago is actually down from this time last year. The price now stands at $201,500. The average price for a two-bedroom home in Chicago is $187,000. For a three-bedroom it’s $226,000. Need four bedrooms? Expect to pay around $379,500. That puts the average for all properties at $268,500. If you need some financial advice before making the leap, the Windy City has a wealth of financial advisors. These are the top 10 Chicago financial advisor firms. Whether you rent or buy you’ll have to pay utilities. According to numbeo.com, a basic utilities package of electricity, heating, water and garbage costs $121.16 in Chicago. If you add internet you’ll pay around $40.14. 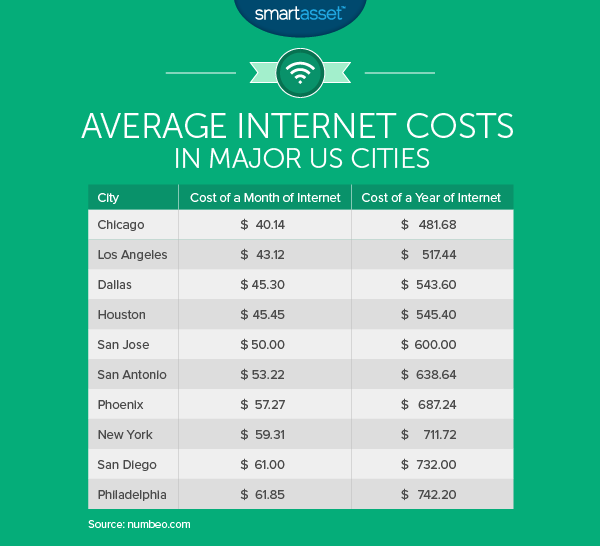 That’s below the national average of $47.83 and cheaper than internet in the rest of the country’s 10 largest cities. Take a look at the chart to see how internet costs in Chicago stack up. The downside is the special “Cloud Tax” you’ll have to pay for online streaming services. It’s a 9% add-on to the cost of services like Netflix. Ouch. Technically, the tax is an addition to the existing “Amusement Tax,” but it has still provoked some controversy. Chicagoans who don’t have cars rely on a combination of bus and subway service. An unlimited monthly pass from the Chicago Transit Authority costs $100. That’s on par with LA and $16.50 less than in New York. If you decide you can’t get by without a car you’ll have to pay for one of Chicago’s City Vehicle Stickers. This annual expense ensures your compliance with the city’s Wheel Tax. For a regular-sized passenger car the sticker will cost you $85.97. Got an SUV or a mid-sized van? Expect to pay $136.54. Once you’ve paid for your vehicle sticker you’ll be ready to hit the road. So what about gas prices? According to gasbuddy.com you can expect to pay $3.47 for a gallon of gas in Chicago. That’s almost 30% above the national average of $2.67. With the essentials of housing, utilities and transportation covered, that leaves food. According to numbeo.com, a three-course meal for two in a mid-range Chicago restaurant will cost you $65.oo. A meal at an inexpensive Chicago restaurant costs $12. Whether you go fancy or no-frills, you’ll pay a 1.25% additional meals tax in downtown Chicago and a 0.25% meals tax outside of downtown. That’s on top of the state and local sales taxes. Prefer to cook for yourself? Expect to pay $1.20 for a pound of rice. That’s 29 cents below the US average. In Chicago, prices for apples, oranges and tomatoes are all below the national average. One reason for these lower-than-average prices may be because there is an added tax on food. Most cities exempt grocery items from sales tax – but not Chicago. What about taxes? As we mentioned, groceries in Chicago are subject to a 2.25% sales tax on food. That’s rare in the US. Then there’s the restaurant tax to worry about. Oh, and starting in January 2016, sales tax in Cook County will rise to 10.25%. Plus, Illinois has the second-highest property taxes in the nation. The statewide average effective property tax rate is 2.13%. That’s almost twice the national average. When it comes to income taxes, Chicago keeps things simple, though. Illinois has a flat income tax of 5%. Chicago isn’t lacking in entertainment options. There’s the famous Lollapalooza music festival every summer, the improv institution Second City and, for traditionalists, the Chicago Symphony Orchestra, one of the “Big Five” American orchestras. Would you rather see a sports game? You’ve got options. For baseball you can head to Wrigley Field to catch a Cubs game or over to the South Side to see the White Sox. White Sox tickets are a better deal than Cubs tickets. In fact, according to TicketIQ, Cubs tickets are the third-most expensive in baseball. The average ticket price for a Cubs game in 2015 is $112.69. For a White Sox game the average is $95.85. Of course, there are cheaper (and more expensive) tickets available, too. Prefer basketball? According to statista.com, the average ticket price to see the Bulls for the 2014-2015 season was $82.33. That’s up from $54.62 in the 2006-2007 season, an almost 51% increase. Chicago has plenty of free attractions to recommend it. How about a walk along the shore of Lake Michigan, a picnic in Millennium Park or a visit to the Lincoln Park Zoo? When you get tired you can check out the campus of the University of Chicago or take a stroll through Wicker Park. Just make sure you bring a warm coat if you visit in winter. Although the origin of the nickname “Windy City” has nothing to do with the weather, Chicago is in fact a windy city. If you are looking to move to Chicago and want help assessing your budget, or you just want help with your financial goals in general, you might want to talk to a financial advisor. A matching tool like SmartAsset’s SmartAdvisor can help you find a person to work with to meet your needs. First you answer a series of questions about your situation and your goals. Then the program narrows down thousands of advisors to three fiduciaries who meet your needs. You can then read their profiles to learn more about them, interview them on the phone or in person and choose who to work with in the future. This allows you to find a good fit while doing much of the hard work for you.